"For over 50 years Marshall Miles has been writing though-provoking books. To illustrate and explain the system [he presents here], Miles offers his often unique views on how best to bid a variety of hands; as in his other works on bidding, he very usefully discusses situations that present problems for his preferred methods. This book will be of interest to those who enjoy thinking about bidding. Miles recommends many non-standard treatments, most of which are cleverly integrated and clearly explained, some of which can be considered independently of this particular context." "Some of the features are very interesting, including Miles's modification of Puppet Stayman, which would be useful to players in any bidding system. There are many examples of hands to drive home the key elements of the system, and Miles does an excellend job of bringing it all together. B+." "Miles has been a leading theoretician for more than 50 years and he's lost little of his competitive edge with time." 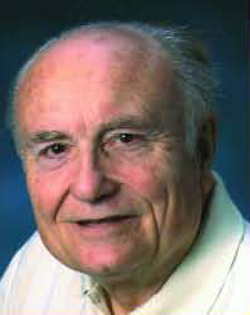 "Marshall Miles has been one of the leading bridge theorists for the past 50 years. His latest book, My System: The Unbalanced Diamond, describes not only the various bids in his pet system but also describes his own bidding philosophy. Instead of giving the reader a number of sequences to memorize, Miles explains the reasons for his suggested sequences. Experience has taught him that he can remember things when they seem logical or when they follow a pattern. This book will appeal to anyone interested in bidding systems and the thought process behind their construction. I found the entire system intriguing, but, more importantly, I found the discussion of the thinking behind Miles' methods illuminating." "I would like to star by giving the publisher a big pat on the back for printing a book about non-standard bidding methods. While some say that artificiality in the bidding has contributed to the reduced number of people playing bridge, I dispute this. I put it down more to lifestyle and lifestyle choices. If anything, it is uniformity and a lack of imagination that has reduced the catchiness of the game. The author comes across as a modest man, with his head very much screwed on the right way. He seems a pragmatist rather than a perfectionist. He defines the system bids in such a way as to allow you to exercise judgment and personal preferences. The nature of the sysytem makes the book most suited to readers with at least one serious partnerships and a partner open to fresh ideas. While you would not necessarily need to be an expert to play the system, you will need time on your hands to get to grips with it and play often enough for you to remember the rarer bids."